Searching for “tow truck near me”? Tow Truck Ottawa is always on call whether it’s the rush hour or wee hours of the night. Simply dial 613-801-6154 to get access to quick and competitively priced emergency towing and roadside assistance services. Our valuable Ottawa Tow Truck towing and roadside assistance services are focused in Orleans, Barrhaven, Manotick, Kanata, and Stittsville. If you are in one of these locations and are currently stranded or in need of towing or roadside help, we have skilled and friendly vehicle technicians who are guaranteed to arrive at your location in 30 minutes. We offer loads of Ottawa Towingroadside assistance services to riders across Ottawa and neighboring locations. We replace batteries and flat tires and give back access to your locked car in no time. Our Towing Ottawaand roadside assistance services are guaranteed professional, high quality, and very affordable. We know how frustrating road emergencies are, and we will not frustrate you even more with hefty service fees. Get back on the road in no time! Never miss an important event because of car breakdown. Dial 613-801-6154 today to take advantage of high quality towing and roadside assistance in Ottawa and nearby locations. Congrats on finding the leading tow truck service in Ottawa, Ontario. We’re available 24/7, which means we’re at your disposal no matter how early in the morning or late at night vehicle problems hit you. Flat tire replacement – Don’t let flat tires stop you. Call our certified technicians to replace your defective tires so you can get back on the road in no time. Long distance towing – Sometimes, you just need to transport a heavy-duty vehicle to a distant location. We, at Tow Truck Ottawa, will be there when no one else is. Heavy duty towing – Towing high-capacity vehicles is a cumbersome task. Our professional towing crews will transport any heavy-duty truck or van for you – you don’t even have to lift a finger. Car lockout service – At some point in a driver’s life, the keys can get misplaced or locked inside the car. If you’re looking to “unlock car door near me”, then Tow Truck Ottawa is your friend.Our professional locksmiths are well-trained to unlock keys in a car, and we cover all kinds of cars and models. Whether it is your main car doors, trunk, or glove compartment that’s blocking your access, we’ll find a quick solution for you. Battery boost – Has your battery died on you? No problem. Wherever you are in Ottawa, we’ll deliver a fresh new battery so your car can start again and you can go on with the journey. Out of gas refueling – Like battery, your car can run out of gas in the most unexpected places. When a gas station is nowhere within reach, we’ll deliver your preferred type of gasoline at very low fees. Roadside Assistance –When on the road, anything can happen to your car. Whether it is flat tire, gas runout, drained battery, or car lockout, our men are well-experienced in handling any of these situations. No matter the issue, we’ll find the best solution. Flatbed towing – Flatbeds are heavy duty on their own. We do flatbed towing when other towing companies can’t. We’ll transport your vehicle regardless of your location in Ottawa and nearby locations. Motorcycle Towing – Even motorcycles need towing from time to time. In case of motorcycle emergencies, we’ll be there to help. 24-hour emergency towing – Vehicle emergencies happen in most inevitable circumstances. When towing is necessary, our professional towing crews will transport your car or truck in as fast as 30 minutes. We’re superbly responsive. At times of emergencies, minor or not, you need the fastest response possible from a reliable roadside assistance provider. We, at Tow Truck Ottawa maintain a commitment to reach your location as fast as 30 minutes. Along the way, we will update you through phone calls so you’d know the estimated time of arrival. We prioritize our clients. Much more than making sales, our utmost priority is you and your safety. We even go the extra mile of seeking professional assistance in case someone is in need of medical help. Rest assured, we’d never leave your side until we’re 100% sure you’re safe and sound. We offer budget-friendly service fees. Our low-cost towing and roadside assistance services are guaranteed affordable and can meet budgets of all sizes. This, however, doesn’t compromise the quality of services, which we continue to improve on as years go by. When new towing technologies are available, we make sure to train our staff well and give them hands-on experience that they can use on actual emergencies. We’re here for you 24/7. Emergencies happen in most unpredictable times. When accidents happen, our licensed automobile technicians will come rushing into your location so you can get the fastest help for the vehicular problem you’re facing. Whether it’s too early at 2 AM or too late at 12 midnight, we turn down no jobs and respond as quickly as possible. We’re professional, local, and geared with advanced equipment. Towing is a serious business – this is Tow Truck Ottawa’s mantra when it comes to serving the citizens of Ottawa. Our staff went through rigorous training, are licensed, and extremely polite so resolving your car issues will be easier than they’re supposed to be. We’re a local Ottawa Towing Company, which means we can easily reach your location if you’d just choose us to help in times of car emergencies. We also make sure to have the latest up to date technology and machines for towing so you’d get the highest quality of service possible. 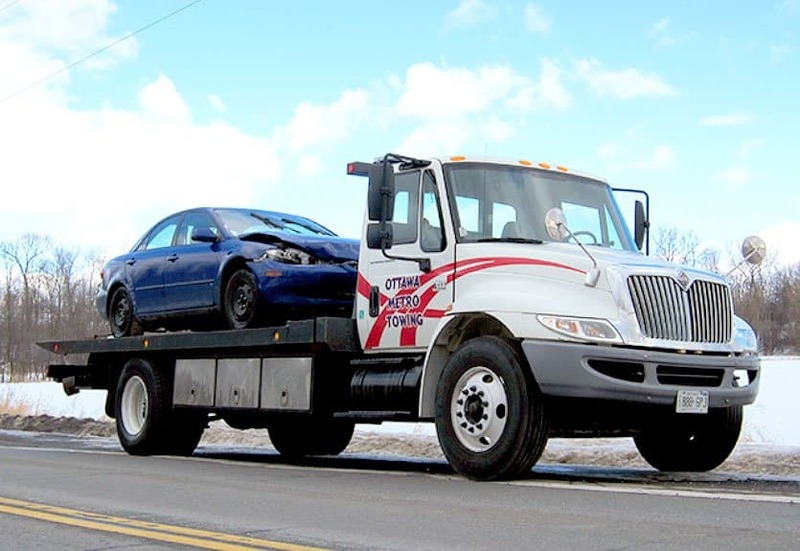 Tow Truck Ottawa is always available waiting for your call if you dial 613-801-6154. Our professional vehicle experts are on standby to give you assistance 24/7. During the call, we’ll accurately take note of your needs and requests so we’d be 100% prepared once we reach your location. Don’t hesitate to call our roadside assistance hotline today. We’re certain it’s the best decision you’ll ever make. Looking for fast, professional, and reasonably priced towing and roadside assistance services in Ottawa? You need Tow Truck Ottawa. Book your requests by calling 613-801-6154. 91 Glen Ave, Ottawa, ON K1S 2Z8, Canada.